The Sofitel Macau at Ponte 16 is a superb and luxurious hotel situated on Macau's seafront, right in the bustling historic quarter. Guests will be able to easily reach a number of touristic sites, including the Ruins of St Paul's, Mount Fortress and the Museum of the Holy House of Mercy. The hotel boasts elegantly decorated spaces and high-class facilities and provides stylish and comfortable accommodation with panoramic city views for all travellers, whether in the area on business or for pleasure. This complex is located in the Galaxy Macau resort, in Macau's Cotai Area. It lies within only 10 minutes' drive of the Macau Ferry Terminal and 5 minutes' drive of Macau International Airport. This hotel has 488 rooms. It offers the highest quality relaxation through a harmonious combination of function and comfort. 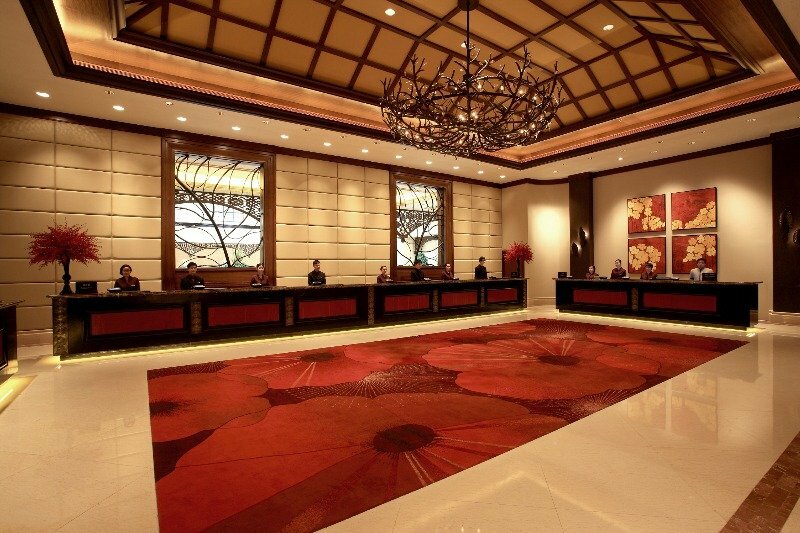 Facilities on offer to guests at this air-conditioned establishment include a lobby and a restaurant. Guests can also use the room and laundry services. The rooms are en suite and come with a hairdryer, a TV and WiFi Internet access. A safe, a minibar and coffee making facilities are also on offer. There is swimming pool, relaxing hot tub and a waterfall jet. A sauna, a steam room and massage treatments are available in the hotel. 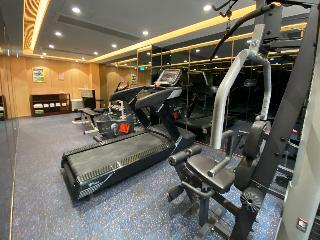 The guests can also enjoy a workout in the gym. Located in the heart of Macao's lively business district, this hotel is close to the city's sights, like the Ruins of St. Paul's Cathedral. The Macao-Hong Kong ferry is close by. Guests can clear their head in the hotel's Tea Tree Spa, with its soothing aromatherapy massages and facial treatments. In the lobby, there is a restaurant, a currency exchange facility, and a hotel safe. The hotel offers a laundry service, for an extra fee. The hotel also has a fitness centre, a heated indoor pool, a bar, and karaoke in the private dining rooms in the elegant Chinese restaurant. Situated on the outer harbour, this city hotel is a 15-minute walk from Fisherman's Wharf and just 5 minutes from the Macau Tower. 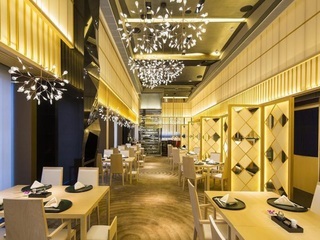 It lies within walking distance of the Macau ferry terminal and is about 10 minutes' drive from the Macau International Airport and the Chinese border. It is an award-winning hotel, where guests are welcomed with warm smiles and a friendly and efficient service. Most of the spacious and elegant rooms and suites open to panoramic views of Fisherman's Wharf and the Friendship Bridge, and are true enclaves of peace and harmony. For total relaxing guests can head to the state-of-the-art gym, where they can sweat-off the stress. The personal trainers at the venue can also offer tailor-made shaping programs to help them achieve their goals faster. For the post workout meal the dinner buffet provides more than a hundred of items from different regions of the world. The hotel is at the heart of Saand Cotai Central – the integrated resort located in Macao's leisure, shopping, entertainment and event district. It provides guests with easy access to 600 of Asia's top retail outlets, restaurants and bars, as well as concert venues, exhibition and conference facilities.With a large amount of spacious and comfortable guestrooms and suites, the hotel offers business and leisure travellers dependability, friendly service and modern attractive facilities at an excellent value.The property features live entertainment, pools, fitness centre and a health club with fully equipped high-tech gymnasium, hot tub and sauna. Guests can also indulge in the hotel's Spa, offering renewal for body and soul with a range of skin, hair and massage treatments. The hotel is the only resort hotel set in the city centre. Sands Casino and Macau Fisherman's Wharf are within a 5 min by foot, Nam Van Lake Cybernetic Fountain is a 10-minute drive away and Taipa Houses are 20 min away by car. The hotel's proximity to the business and entertainment districts, the Jetfoil terminal and Macau International Airport put it in the ideal location for all visitors. This unique city hotel is air-conditioned and has its own casino, as well as an on-site restaurant. Each room comes with a hairdryer, a satellite/ cable TV, Internet access and a safe. There is a wide range of facilities available to keep guests entertained or to help them relax while staying at the hotel. For alternative diversions, Macau is home to a wide range of shopping centres, all within minutes of the hotel. 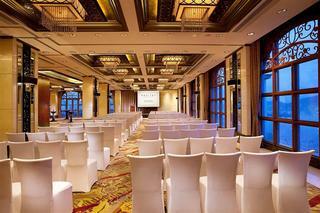 Grand Dragon is an upscale hotel situated in the heart of Taipa Island. Guests can explore the nearby places of interest including the Macau East Asian Games Dome, the go-karting track and the Macau Tower Convention and Entertainment Centre, making it the ideal choice for business and leisure travellers visiting the area. Macau International Airport is 5 minutes away while the Macau Ferry Terminal and business district are a 10 minutes' drive from the hotel. The striking exterior of the hotel exudes contemporary style, while the lobby takes guests away to a world of Oriental infusions. The hotel's guest rooms exude elegant simplicity and have been designed with comfort and convenience in mind. The hotel offers a range of leisure, recreational and dining options to make each stay as relaxing as possible. This spectacular hotel is situated on the main street in Macau, close to New Ferry Terminal and Macau International Airport. 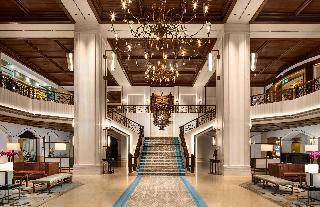 Upon arrival guests will discover three canals, complete with Italian gondolas, singing gondoliers and dragon boats. This luxurious hotel offers 3,000 suites, all beautifully furnished and fully equipped with modern amenities. The standard suites in the hotel offer a spacious 70 square meters of living space. Guests will be spoilt for choice at this resort, with 350 retail shops at the Grand Canal Shoppes, excellent dining options and breath-taking surroundings. 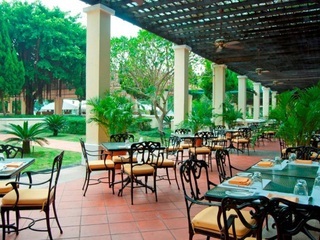 Whether travelling for business or leisure, this resort will cater for the guest's every need. 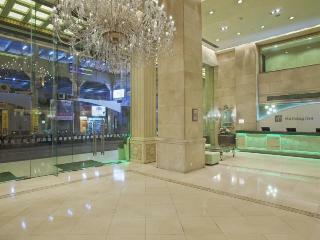 Based in a historic setting, the hotel is well placed close to the ferry and only ten minutes away from downtown Macau. It is also just a short drive to the Zhuhai border and Largo de Senado, buses and taxis are easily available around the hotel. The Best Western Sun Sun Hotel offers a variety of rooms from standard to deluxe suites, and all rooms are equipped with amenities including TV, internet, refrigerator, iron and radio. The hotel's executive lounge also has internet enabled computer for guests' use and there is an on-site cafe, lounge, restaurant and cocktail bar. 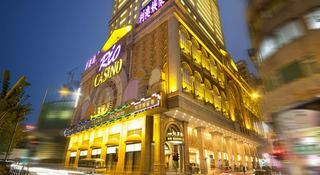 Rio Hotel & Casino is situated in the heart of Macau and is walking distance to many local attractions for travellers that wish to experience Macau. It is within 10 min walking to the Hong Kong-Macau Ferry Terminal and 15 min to the Macau International Airport by car. The hotel is well known for its spacious well-furnished guest rooms starting at 30Msquare and suites starting at 50Msquare. Facilities include a casino, along with conference room and multi-function banqueting facilities together with 24-hour dining options. Further amenities include a safe, a currency exchange facility and laundry services. Each room comes with an en suite bathroom which has a bathtub and a separate shower. The hotel offers the best experience with its world-class leisure facilities, including a sauna with spa, a gym and a swimming pool. Macau is on the south coast of China, close to the province of Guangdong, in the western part of the Pearl River Delta. It is a special administrative region that has a great degree of autonomy from the rest of the country. It is a very successful holiday destination thanks to its many restaurants, casinos, historical sites and much more. The Macau Peninsula is the region to the north and it is one of the most popular. Taipa is an island in the south of the peninsula that boasts good casinos, shopping centres and many other types of entertainment. Another very interesting island is Coloane, which is home to a very famous golf course, two lovely beaches and lots to do in the great outdoors. Macua has a rich historical legacy that is evident in every corner of the city. A walk around Macau quickly reveals churches, fortresses, temples, museums and old alleyways that show strong Portuguese and Chinese influences. Especially noteworthy is the statue to the Chinese Goddess Bodhisatta Avalokitesvara. Fun is assured in Macau, given that the range of things to do is endless: casinos, go-karting, hiking, cycling and swimming on Coloane’s wonderful beaches are just some of the options. Visit magical Macau, you won’t regret it. Calm hotel environment and a quiet beach nearby. Big guest room with ocean view was great. Good service manner. It was the second time we stayed there within 7 months. We liked it !